Ein DJ und Porduzent aus Linz präsentiert zwei Songs aus dem Album 'Underwater World'. 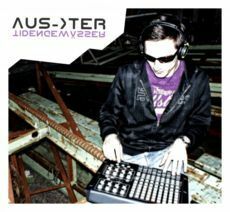 Auster, alias Klaus W. born on the 4th January 1985 in Linz, Capricorn, grew up in Gallspach City. A u s t e r ™ . After almost a year before I got that name I started a small but really nice program called Ableton. Since that moment I was totally caught and fascinated of these programs. I had a very good and professional assistance of P.L. and A.K. which helped me to broaden my horizon with Ableton. I found out my strength is the Synthizer and I improved that more and more up to the perfection. My goal is with extraordinary melodys and stamping beats not only to invMy invite people to dance but also leave a constant impressions. Anyways, your opinion is important for me!